How do I enable multiple submissions ? 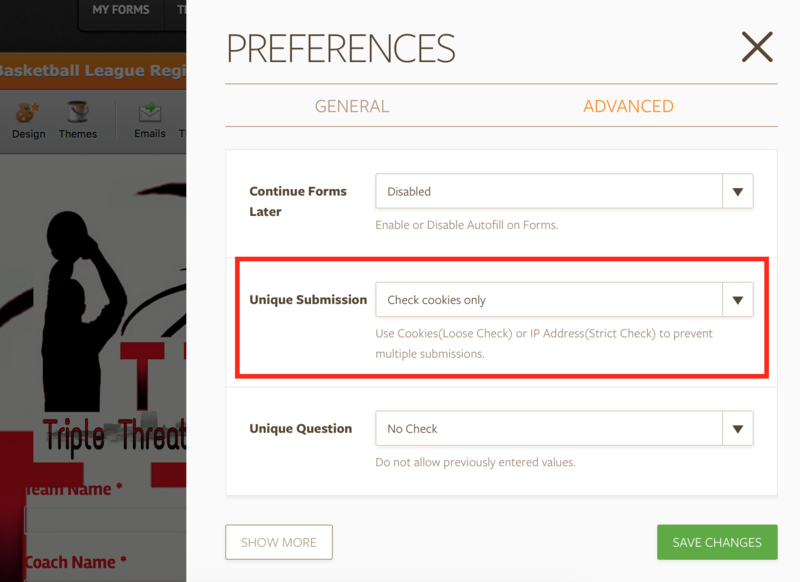 I have checked your form and it seems like it is adjusted to prevent multiple submissions. To fix this issue please follow the steps below. 1. Kindly click on Preferences button and go to Advanced segment. 2. Set "No Check" for Unique Submission. I hope this helps. If another problem occurs, please contact us again.